Pediatric nursing focuses on restorative care, Promoting wellness-oriented self-care, and optimization of the health and abilities for children from newborn age through young adulthood. Creating a patient and family-centered care approach, bridge the understanding with child and family is what pediatric nurses’ endeavor for preventing suffering and disease, restoring health, and maximizing comfort in health conditions, through diagnosis, treatment, and management of the Neonatal condition and advocacy in the care of children and families. To work with the patient and their families to provide them proper status with empowerment and promote wellness- oriented self- care and provide comprehensive health education, recommending age appropriate screening procedures, providing multidisciplinary services for patient with diagnose and treating the health problems. Caring and counseling the patient with common identified chronic conditions, diagnosing and treating acute, critical, and chronic illness. Providing professional relationships with conflict resolving attitude, delivering services to children with complex medical problems, working closely with patients and their families, health care workers, and interdisciplinary ethics communities. Prevention of Children’s disease and injury. Pediatric nursing is a specialized nursing practice branch which deals with the health of babies, and young children. The nurses must go through special training in child health and behavior. After their under graduate studies they get trained in child health both in theory, clinical practices and also focuses on the growth and development of child not only in physical level but also in mental level. The are registered nurses assisting doctors by providing medical care, nursing care as well as information about the diseases and treatment of neonatal to adolescent patients. Pediatric nurses play a special role in supporting young patients and their families by explaining patients' conditions and treatment options and providing emotional support with proper health care knowledge. Depending upon the treatment plan, pediatric nurses may administer medications, place intravenous (IV) lines in patients, and administer other kinds of therapies. 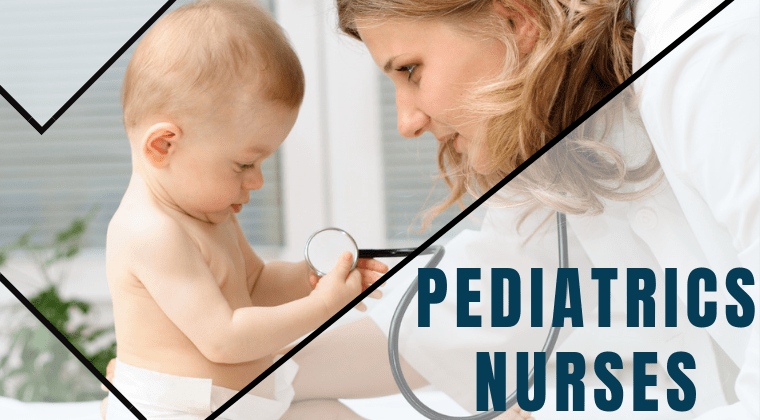 Pediatric nurses also consult with patients and their families to develop and maintain healthy lifestyles; they also provide long-term treatment for young patients. Depending upon a nurse's experience level, he or she may also conduct physicals, administer immunizations, screen for diseases, diagnose illnesses, and/or prescribe medication.